Kerill O'Shaughnessy is a partner in the Asset Management & Investment Funds Group. He acts for a range of funds, promoters and service providers and has extensive experience in advising on the establishment, authorisation and operation of all types of Irish investment funds including UCITS, QIAIFs, RIAIFs, fund of funds, master feeder structures and closed-ended funds. Kerill has advised on the authorisation and ongoing operation of a number of UCITS management companies, AIFMs and management companies established to manage both UCITS and AIFs (Super Mancos). In particular, Kerill has expertise in advising on UCITS funds including alternative and structured UCITS, and on real estate, private equity, hedge and debt alternative funds. He has advised lenders and borrowers on a number of fund financing transactions and has also advised on a range of fund re-domiciliation and cross-border merger transactions within the UCITS, RIAIF and QIAIF regimes. A global US-headquartered bank on the authorisation of a new Irish Super Manco as part of a very significant Brexit-relocation mandate announced in the Irish market. On the establishment and operation of a UCITS platform on behalf of a UK asset management and distribution firm with multiple sub-funds each with separate investment managers. A private bank on the authorisation and operation of a multiple sub-fund exchange-traded Retail Investor AIF platform, including a sub-fund investing in China through Stock Connect. A large US asset manager on a Qualifying Investor AIF ICAV master-feeder structure investing in loans. A global property group and a US real estate and private equity firm on their joint venture investments in Qualifying Investor AIF ICAV and Unit Trust structures. A large US hedge fund on its Irish real estate Qualifying Investor AIF ICAV structure, including portfolio acquisitions, financings and restructuring transactions. US, UK, European, Asian and South African asset managers on their UCITS and AIF platforms investing in a broad range of asset classes. Lenders and borrowers on fund financing transactions including asset financings, synthetic financings and subscription-line facilities. Kerill speaks regularly at conferences on asset management and investment fund related topics. 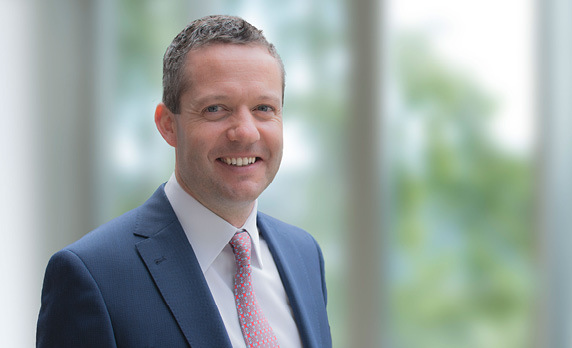 He is an active member of Irish Funds and has sat on a number of Irish Funds industry association working groups including on Limited Partnership Legislative Reform, Private Equity, Real Estate and Real Assets. Kerill is also a lecturer on the Law Society of Ireland's Finance Law Diploma programme.